Back in May 2012, I was lucky enough to be asked to be one of four hosts in London for a "Swedish Blind Date" event. This consisted of dinner for myself and four guests at my home, cooked by a top Swedish chef. Each host was allocated a specific region of the country by Visit Sweden, with regional chefs flown in specially to prepare the meals at the Swedish embassy, before heading out across the four locations in London to serve their fare simultaneously. The region and cuisine allocated to me was Swedish Lapland, and this was when I first met Graeme Richardson, of Visit Luleå, who came specially to help host the event, and explain the cultural background to our meal (more on this dinner here). As is often the way, one thing led to another, and some months later I found myself on a plane touching down in Luleå to meet Graeme once again, this time on his home territory. 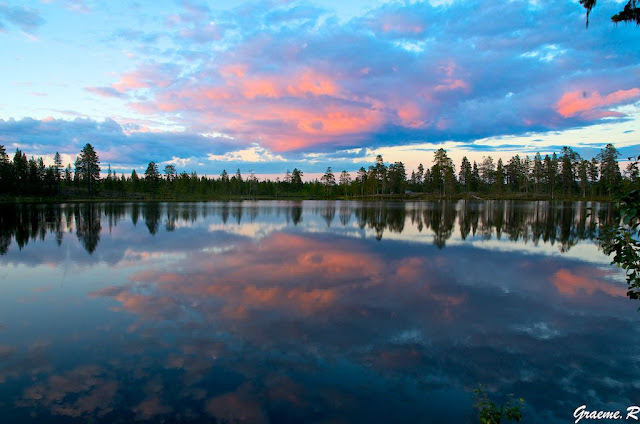 It was difficult for me, arriving in Luleå, the capital of Swedish Lapland, to imagine that a 3 hour flight from London's Heathrow airport could transport me to such a different and fascinating world - of hunting, dining on reindeer, moose and brown bear, sleeping in posh tree houses, gazing at the Northern Lights, and savouring nature and the wilderness. I don't get to do many of these things in Islington or anywhere else for that matter, and was keen to discover what the four days ahead of me would bring. Even for the Swedes, the Swedish Lapland (the most northerly part of the country) is one of the most undiscovered of regions. It is certainly one of the most unspoilt I have ever seen, and it was interesting to experience a place where people are so connected to nature. 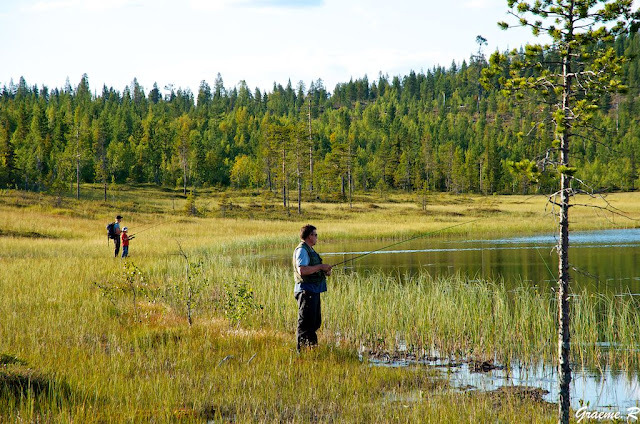 The Luleå River and surrounding forests dominate the scenery, and unsurprisingly, hunting, fishing and other outdoor pursuits are just a way of life for most locals. On arrival, my introduction to Swedish hospitality could not have been more auspicious. My first night in Luleå was spent at Graeme's home, with his Swedish wife, family and friends, where I was treated to a home cooked Swedish meal. Cured trout, thinly sliced and served on crispy brown bread was followed by sea bass marinated in sugar, salt and dill, which made for a delicious dinner. Both fish were caught and prepared by Mr Gustafsson, who has been fishing in the Luleå river for 40 years, and were of superb quality and freshness. The next four days showed me that Northern Swedes connection with nature extended well beyond food to almost every aspect of their lives. The town of Sörbyn is a short drive away from Luleå, and this is where I headed to meet Palle Anderson and Magnus Lidberg for a local hunting expedition. Palle and his folks opened Sörbyn Hotel and Conference Centre in the heart of Råne River Valley, on the shores of Lake Vitträsket. The location has a new hotel with 8 twin or double rooms, as well as a number of four-bed self-contained cabins suitable for families or those wanting to participate in the many outdoor activities offered at the hotel. One such activity is hunting. 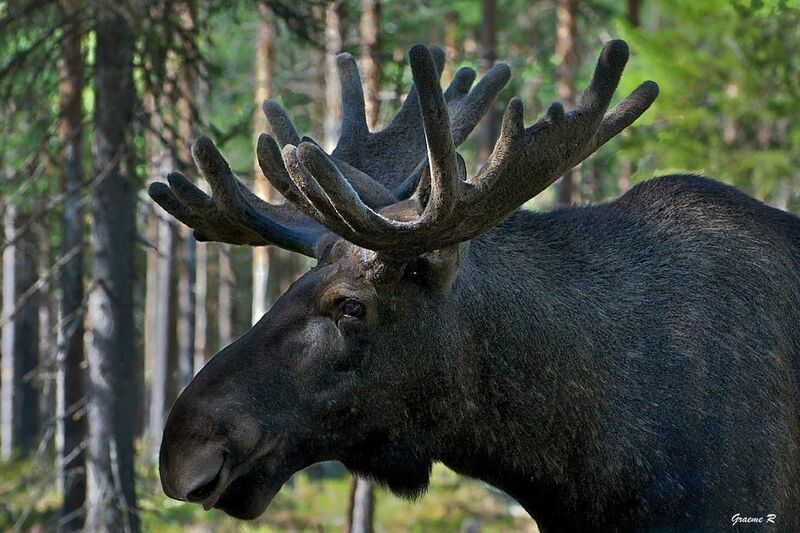 The Sörbyn woodland is home to deer, moose, reindeer, brown bear, as well as lynx, hare and many birds including capercaillie. The woods are also rich in plants including lichens and mosses, orchids, and numerous types of wild berry, making a perfect habitat for the local fauna. Kallkällan (The Spring) is the hotel's restaurant where head chef Richard Karlsson cooks the fine local produce. I had one of the best meals of my stay there, cooked by Richard himself (see where to eat, below). No sooner had we arrived at Sörbyn than we were out hunting in the forest with a dog and rifles. 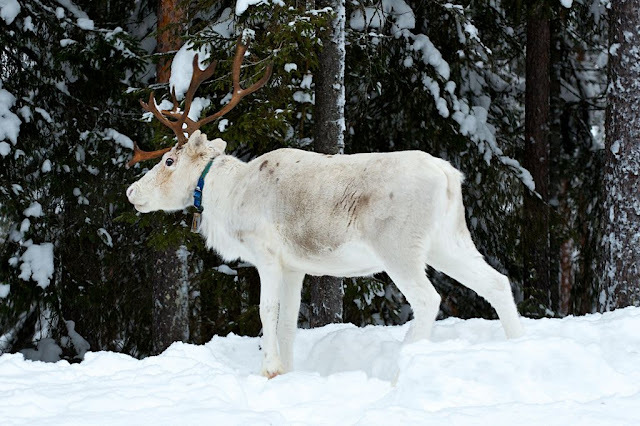 In Swedish Lapland for centuries, hunting has been regarded not as a sport, but as a necessity for food, and for management of the forest wildlife. We were hunting for capercaillie, and the technique was fascinating. The dog would find the bird in a tree top, and bark assertively (but not aggressively) to hold its attention (too loud and it would fly away). While the bird is distracted, the huntsman would gently approach the tree and shoot the bird, still mesmerised by the dog. So having a well-trained dog is key to catching the prey. While we hiked through the forest following the dog, we walked through streams, and across stunning scenes of moss and lichen, eating forest berries as we found them. When we caught up with the dog, it had found a female capercaillie, which Magnus expertly saw to. Lunch, finally! In addition to hunting, Luleå is a magnet for those who love outdoor activities, as there are many. I was there in autumn, but I was told on more than one occasion that Swedish Lapland is at its best during the winter months, when temperatures may fall to as low as -40C. Skiing is an obvious example, but beyond that, some other more exotic winter pursuits on offer. 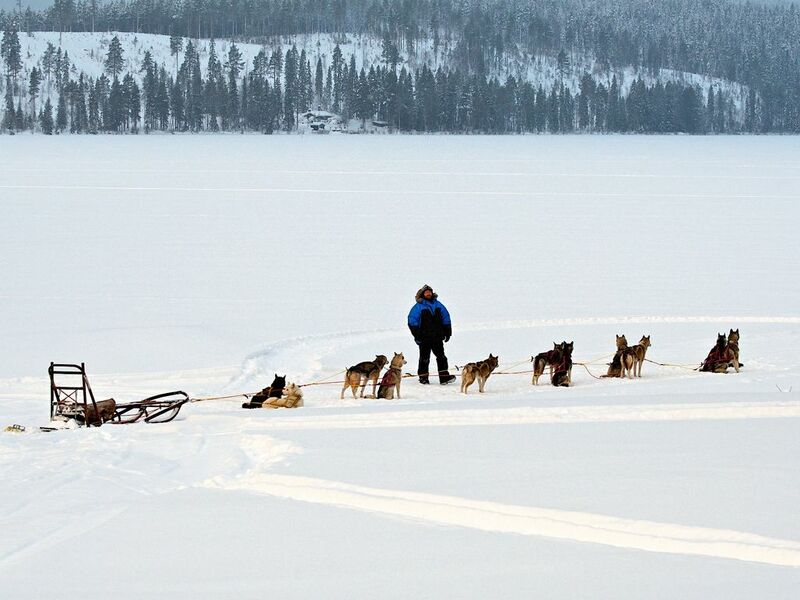 These include dog-sledging with Huskies, riding snowmobiles, ice-hockey, and driving cars on frozen, snow-free rivers. Fishing, white water rafting and canoeing are popular during the rest of the year. During my stay, I visited the UNESCO World Heritage Site of Gammelstad Church Town, close to Luleå. In former days, Swedes had to pay a hefty fine to the state if they did not attend church service. Transportation and particularly accommodation near the church were very much in need to fulfil this duty. Since distances are huge in Swedish Lapland, and Gammelstad had the only church in the region, land owners from afar were allowed to build small tin and wood cottages where they could stay when they came for service. These were the reasons behind what is now a famous and intriguing cultural attraction. While in Luleå, another unmissable activity is to go food-shopping and attend a cookery class at the Hemmagastronomi (a beautiful deli selling local artisan products/cookery school/events venue), in the North Harbour at Luleå. The founder, Simon Laiti, is a bit of a celebrity in his native Luleå. Having worked at a number of renowned Michelin-starred restaurants throughout Sweden, he opened his own, scooping the best restaurant in Sweden award in 2006. After its closure, he moved back to Luleå and opened Hemmagastronomi, and is today a true ambassador for Swedish Lapland's gastronomy. I was lucky enough to meet Simon and had a long chat with him about what makes the local cuisine so special. His view is that being uniquely northern Scandinavian, it does not and should not emulate other international cuisines. Rather, it has kept its own identity, having strong roots in local produce and seasonality. For example, they will hunt and cook game and serve it with berries from the same forest, generally use only local cheeses, and even extract caviar (Löjrom ) from local fish (Löja), all of which I was fortunate enough to try at Hemmagastronomi. I loved the space Simon has created - a definite must-visit for any foodie in Luleå. 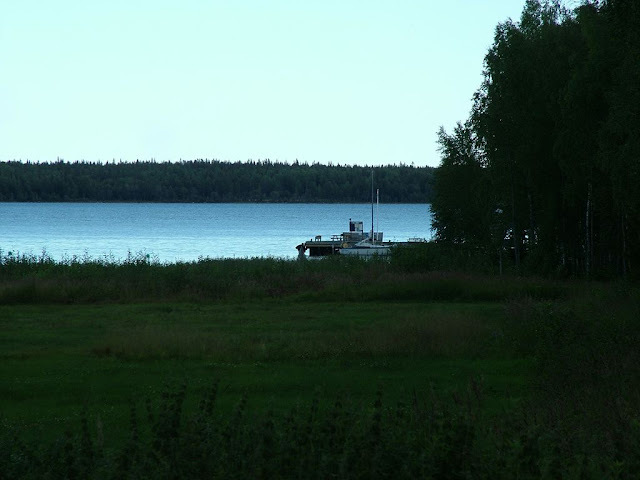 The Luleå archipelago has over 1,300 islands, many of which are uninhabited and unspoiled. It is relatively easy to take a water-taxi or sailing boat to any of these islands, which the locals do to go hiking, foraging or fishing. In winter months, the Luleå harbour is also the starting point for the ice road, from where you can drive by car over the frozen sea to these islands. On our trip, I travelled to the island of Hindersön, to stay at the lovely Jopikgården guest house and restaurant (more details in "where to stay", see below). Britta and Kent, a couple in their 50s, wanted to move away from their conventional careers into something new. After much searching, they found in their home town of Harads a former old people's home which was in great need of renovation. They acquired it to open a guest house, little suspecting that today, they would own one of northern Sweden's most iconic attractions. It all started when Kent, on one of his fishing expeditions, happened to be in the company of some of Sweden's most renowned architects. They were having a discussion about a fantasy of building a hotel made of tree rooms, when they decided to put pen to drawing board and give it a go. Fast-forward a few years, and today the Tree Hotel houses five such rooms, making Kent and Britta into national celebrities, and the hotel one of the most talked about in Sweden. The main guest house (Brittas Pensionat) has maintained many of its 1950s features, and has been decorated with a beautiful array of vintage crockery and furniture, and with its artwork and vintage artefacts, feels quirky and charming. It is here that breakfast is served, and also where Britta prepares home cooked meals for her guests. A few hundred metres away into the forest, the tree rooms could not be further removed from this retro scene. The ultra-modern rooms are perched high in the forest's ancient pine trees, each one designed by a different Swedish architect. reflect their surroundings. The base consists of an aluminium frame mounted around the tree trunk and the walls are covered with reflective glass. To avoid birds flying into the mirrored walls, they have been clad with infrared film which is invisible to humans but highly visible to birds. The interior is made of plywood and the windows provide a panoramic view. Guests enter by a 12 meter long bridge leading up to the tree room. hillside overlooking the Luleå river valley. Guests enter the hut through a horizontal bridge among the trees. The Cabin is like a capsule, a foreign object in the trees. The Bird's Nest, as the name suggests, resembles a giant bird’s nest perching in a tree top. The interior however, is surprisingly spacious, and can accommodate a family with two children comfortably. The walls are clad in wood, and the windows almost disappear amidst the many branches on the exterior. Guests enter with the help of a retractable stairway. Unlike the Bird’s Nest, which harmonizes with its surroundings, the idea of creating an environment that was completely “out of place” gave rise to The UFO. The room is cast in durable composite materials, while the interior has a modern feel. Entrance is via a retractable stairway. The Blue Cone, where I stayed, is a traditional wooden structure, and despite its name, is bright red. Guests enter the room via a bridge from the nearby mountainside. The interior is simply but elegantly furnished with Nordic-designed pieces. The most magnificent thing about my room though, was the view into the forest, and the mountains and lake in the distance. On the upper floor of my tree room, there was an observation area, the roof having a large round glass window to allow a view of the stars and Northern Lights should you be lucky enough to see them. This was an idyllic experience, unlike any I have had before. Among the tree houses, there is a central wooden building which houses a relaxation room, Swedish sauna, showers and toilets. It is here that guests staying in the tree houses will shower. Each tree room has a modern, environmentally friendly combustion toilet which heats to 400C to dispose of waste hygienically and odourlessly, and water efficient sinks. Room rates are around £400 per night, including breakfast. More details are on their website here, and you can also see the You Tube video below that features this fascinating hotel. On the island of Hindersön, a 15 minute boat ride from Luleå's harbour is the charming boutique hotel of Jopikgården. 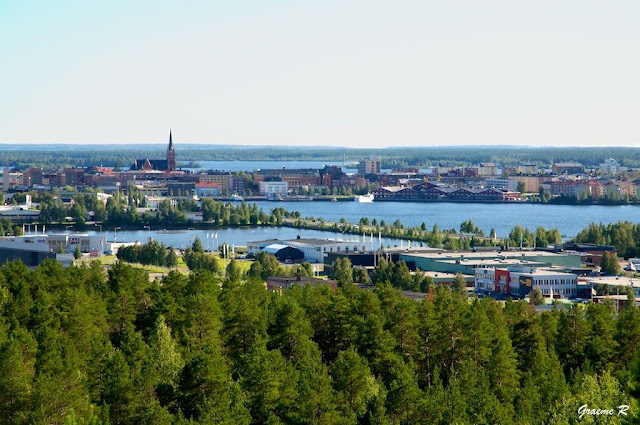 I was fortunate that my visit coincided with the Löjrom (caviar) festival on the island, and it was here that my host Graeme Richardson of Visit Luleå took me to stay. The hotel is small, with only four rooms, plus rooms with bunk beds in the adjacent house. It has a lovely country estate look to it, and the beautiful restaurant is elegantly furnished, opening into a large conservatory that is used as a dining room, and looks out onto the sea. Visitors come here from Luleå to meet friends for dinner, bed and breakfast, go hiking or fishing, and enjoy the hospitality and food at the hotel. Graeme had invited some of his friends to Jopikgården, whom I had the pleasure to meet over a fantastic and boozy dinner which ended up in a hot tub at around 4am. More information on this excellent dinner is in the "Where to Eat" section below. My en-suite room was simply but comfortably furnished. Room rates at Jopikgården are 188 Swedish Kroner, or about £190 including breakfast. Following our hunting expedition at Sörbyn, we headed back to the hotel to meet Head Chef Richard Karlsson who would be cooking the fruits of our labours - our precious capercaillie. He kindly allowed me into the kitchen to watch the preparation, and explained in detail the local ingredients he would be using, their origins, and the dishes we were about to eat. Our starter was a Nigiri Sushi made with Arctic Char, a local fish. He cleverly used a mix of oat porridge and crème fraiche in place of sushi rice, and served the sushi with sliced blowtorched cucumber, lobster oil, cabbage and ginger mousse. I loved the flavours and presentation of this dish, especially his Nordic take on a Japanese classic using local ingredients. For main course, naturally, we had Roasted Capercaillie, which was surprisingly dense yet tender, flavourful, and not nearly as gamey as I had expected. Chef Karlsson served it with a black liquorice glaze (a heavenly combination - game and liquorice), carrot and roasted garlic puree cooked in a crayfish broth, sliced cabbage cooked in port wine and balsamic vinegar, vasterbotten cheese fries (a local cheese similar in flavour to Parmesan). The dessert was an ultra-light layered sponge cake covered in meringue, and filled with satsuma and crème chantilly. This was a refreshing, delightful dessert. 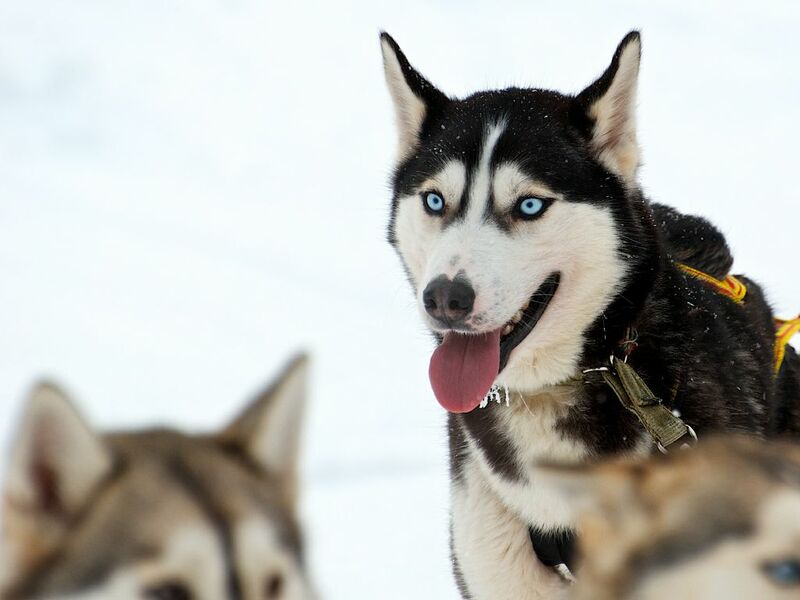 Chef Karlsson raises his own pack of Huskies, and offers dog-sledging tours in winter via his company Isdimma. 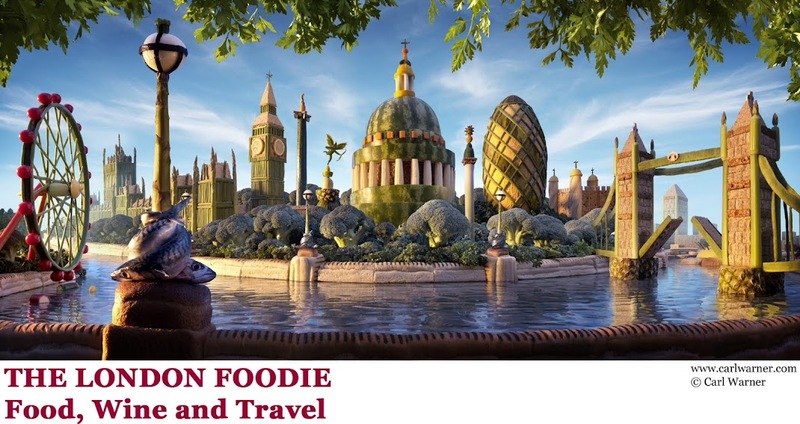 If you would be interested in trying his cooking closer to home, he will be in London from Monday 22nd to 24th October 2012 for a 3 day VisitSweden pop-up at the Old Truman Brewery (see "Travel Essentials" below). At the main guesthouse (Brittas Pensionat) I had another lovely meal while staying at the Tree Hotel. Like the decor, the food is homely and delicious. Britta and Kent are very warm hosts, and come to sit and talk to their guests during dinner. I was invited into the kitchen to see Britta prepare some of the food we were about to eat, including brown bear fillet. We started with a lightly curried soup with salmon, tomatoes and crème fraiche which was creamy, light and well flavoured. This was followed by moose meatball served with lingonberry jam, Madeira wine sauce and mashed potatoes. I had never eaten moose before, and found it had a gamey quality to it. Although I suspect moose meat is something of an acquired taste, I enjoyed it, and particularly with its accompanying fine lingonberry jam. The main course was brown bear fillet with morchella mushroom (morels) sauce, mashed potatoes, blackcurrant jam. Although eating brown bear might raise some eyebrows, it has been the custom in this northern part of Sweden for centuries. The bear was exquisite like the finest beef fillet, very tender with a delicious savour, and to my surprise had no discernible gamey characteristics. The Pensionat has a limited but impressive wine list. Graeme and I shared a bottle of Amarone which, needless to say, went down a treat with the bear fillet. Meals at Brittas Pensionat were one of the best parts of my stay at the Tree Hotel, not only for her delicious home cooking, but also for her and Kent's warm hospitality. The Raw Deli is the baby of Jonas Berger, a food and wine connoisseur who lived in London for many years, and now back in his home town, decided to open a natural foods business. His Raw Deli serves a variety of freshly made wraps using local ingredients. On my visit, I had a wrap of lightly smoked salmon (gravadlax) with julienne cucumber, lettuce, spring onions and ginger with a wasabi dressing. I loved the combination of local ingredients with an Asian influence. 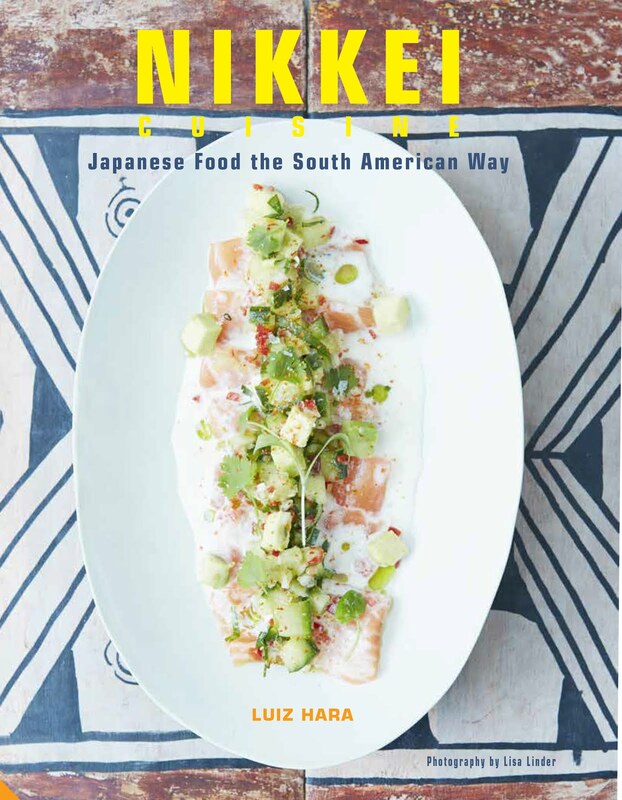 In fact there are a number of similarities between Swedish and Japanese food, with an emphasis on fresh local ingredients and a preponderance of fish, so the combination worked very well. Another great wrap was of locally grown raw shiitake mushrooms with grated manchego cheese. Another unusual but delicious combination. Wraps are accompanied by a wide variety of iced teas (I tried peach and oolong tea, which was excellent) and freshly pressed fruit and vegetable juices. On the island of Hindersön in the Luleå archipelago, the boutique hotel of Jopikgården was hosting the annual Löjrom (caviar) festival on the island, and this is where I had another great meal. The meal was to show how versatile and delicious Löja, the tiny local fish, and its caviar Löjrom can be. 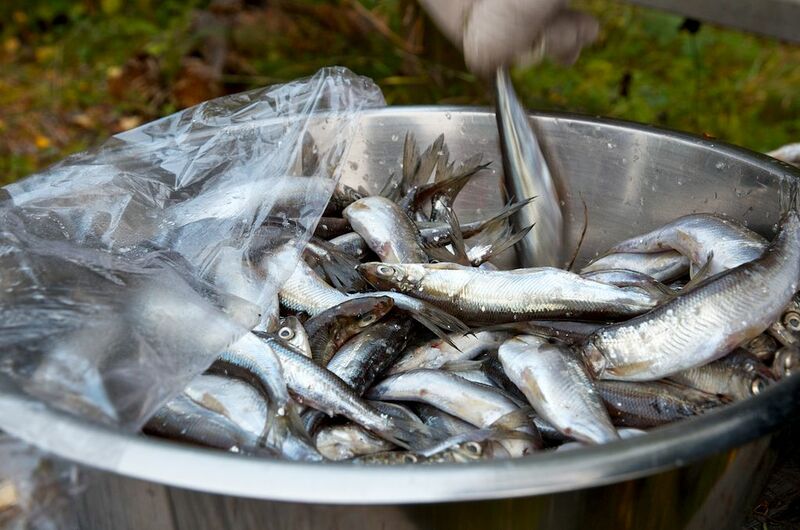 The fish is small, between a whitebait and sardine in size. The flesh is delicate and well flavoured. 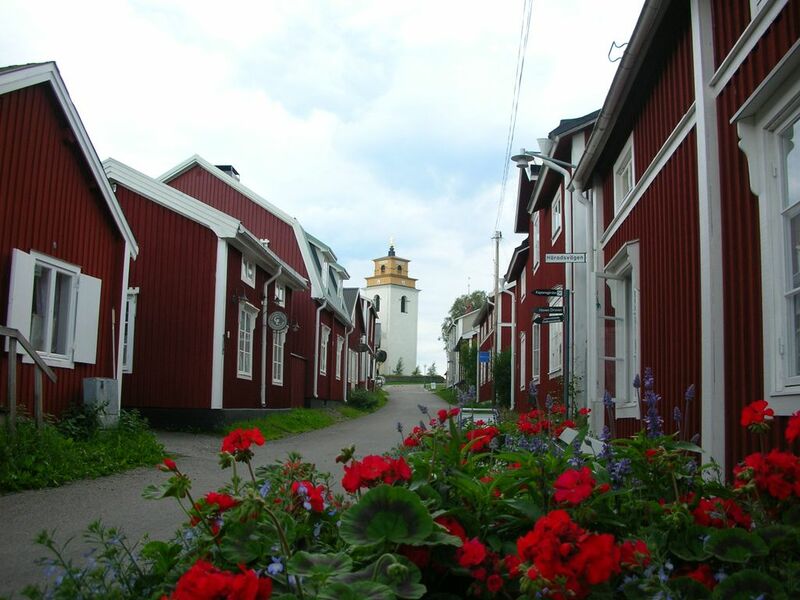 The fish is unique to this part of Sweden, living exclusively within a 40km stretch of water where the Luleå river meets the Baltic Sea. It is the caviar though, known internationally as Kalix Löjrom but referred to in gastronomic circles as the "gold of the North", which was the main focus. We kicked off with grilled Löja, smoked on the premises by Jopikgården's owner, Mr Johansson. This was followed by fried Löja, in a very light batter, tempura style. They were both delicious, and I was struck by how tiny they are, and could not help wondering how many fish they need to extract a small jar of Löjrom. Next, we had the famed Löjrom itself. This is Sweden's answer to sturgeon caviar, with a delicate freshness of flavour, supple texture and subtle saltiness. I was hooked! It was accompanied by many glasses of chilled Swedish spirit made of birch sap, and at each toast, the whole table would sing a traditional Swedish song. The main course was a delicious moose stew in a rich wine sauce, served with potatoes. It was a warming, satisfying dish. The four days I spent in the Swedish Lapland were some of the most fascinating I have had away from home, but I felt I only scraped the surface of this enormous country. 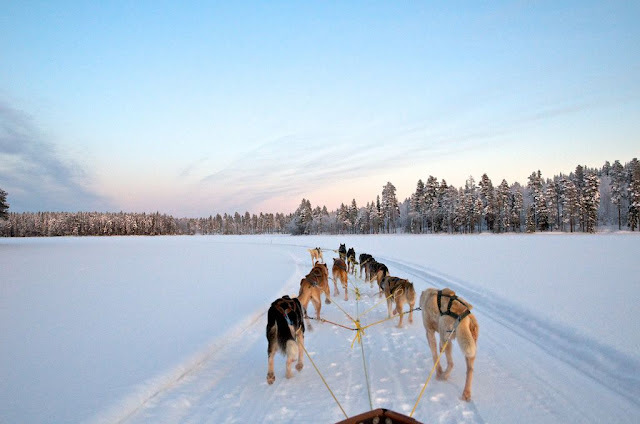 I cannot wait to return one day to try some of the winter activities including dog sledging, touring the Luleå archipelago aboard a snowmobile, and even staying at the world famous Ice Hotel in Jukkasjarvi. Many thanks to Graeme Richardson of Visit Luleå in Swedish Lapland and Visit Sweden UK for hosting my visit. VisitSweden will be hosting a 3 day pop-up from Monday 22nd to 24th October 2012 at the Old Truman Brewery, 1 Corbet Place, 15 Hanbury Street, London E1 6QR. The brewery will be transformed into a traditional Swedish red cottage, and will serve as a venue to show the best of Swedish gastronomy from Luleå on 22nd, West Sweden on 23rd and Skåne on 24th October. There will be a bookable free lunch between 12 and 2pm on a first come first served basis. To book your space, please contact rsvp@redcottagesweden.co.uk. What an amazing trip! Love the treehouses, especially the mirrored one! Looks really great! Next stop in Finland! ;-) As a Finn, I might say Finland is even more amazing! So nice to read and experience, proud to be a part of this by living inthe coast of the northern part of Swedish Lapland, welcome back and experience more. Thank you for a wonderful article that brought back many good memories and made me feel proud of my birthplace. I'm glad you enjoyed your stay! I have had the Tree House Hotel. with it's magical modern tree house rooms, bookmarked for some time now. How marvellous that you got to visit. I have been once to Finnish Lapland but will visit Swedish one day.